Optocap has extensive experience in aligning and attaching fibers and optical components to wide range of optoelectronic devices including DFB lasers, Quantum Cascade lasers, SLEDs, SOA’s and Receivers. Optocap offers a standard Telcordia compliant platform for packaging and fiber coupling optoelectronic devices into 14-pin Butterfly package. This standard platform incorporates a Thermistor, Thermoelectric Cooler (TEC) and back-facet photodiode monitor. A fully flux and organic free process is used to avoid any contamination that may compromise the delicate optical surfaces. A fully hermetic seal casing in an inert gas atmospheres offers increased lifetime of the optoelectronic device. A laser welded fiber attach process is used to provide a robust and reliable attachment. This standard platform has undergone extensive environmental testing to demanding Telcordia standards. Avoids Design and Development NRE charges. Utilises Telcordia/Space compliant processes and materials. Enables faster time to market by utilising off-the-shelf components and avoiding key technical pitfalls. Provides competitive unit prices based on automated assembly processes and utilising economies of scales for purchasing materials. Wide range of packages including 14-pin butterfly packages and TO-cans. PM, SM, MM, Polycrystalline, High temperature fibres and FVA’s including lensed options. Given a general introduction on testing optical materials for use in radiation environments. A special emphasis is given to thin optical coatings, optical fibers, and fiber Bragg gratings. Here the test procedures are much more challenging than for bulk materials. The challenges are, amongst others, conflicting standards, often online tests and the necessity to use several different radiation sources. The talk will give an overview of test standards, especially concerning optical fibers, and a discussion of the influence of parameters such as dose rate, temperature etc. A novel integrated optical source capable of emitting faint pulses with different polarization states and with different intensity levels at 100 MHz has been developed. 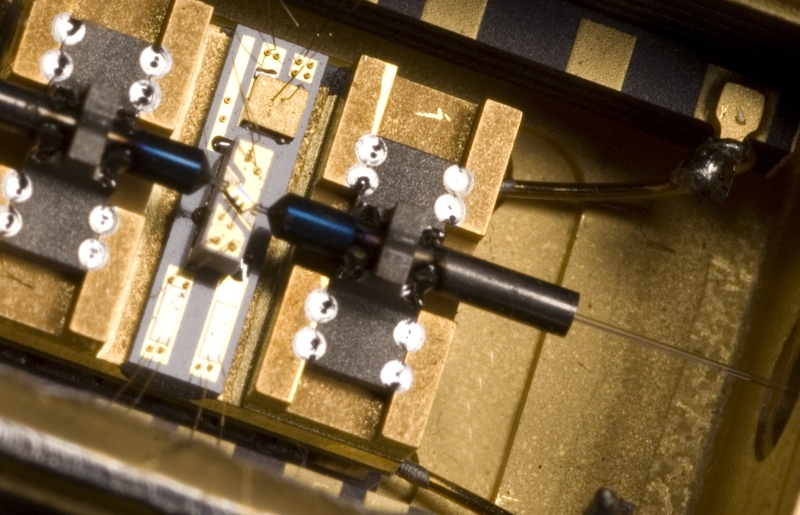 The source relies on a single laser diode followed by four semiconductor ampliﬁers and thin ﬁlm polarizers, connected through a ﬁber network. The use of a single laser ensures high level indistiguishability in time and spectrum of the pulses with the four different polarizations and three different levels of intensity.